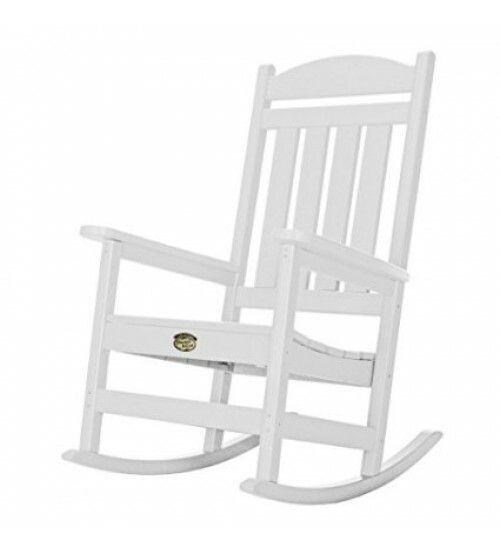 Classic in design and comfort this classic porch rocker is built to last. If you are looking for the traditional look or want to sport some fun, rocking colors, we have the rocker you are looking for. 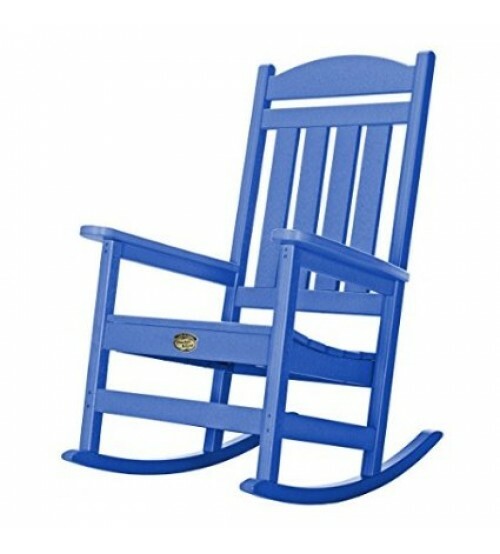 The classic porch rocker is made in the USA of poly lumber (recycled plastic). You\'ll find the peerless durability of this rocker matched only by the authenticity of its design. Featuring breathable back slats topped by a cross pieces with a gentle arching upper edge, promoting a sturdy look that makes gently rocking away an evening as effortless as can be. These rockers are built solid by using the ancient carpentry method of mortise and tenon at all the joints. 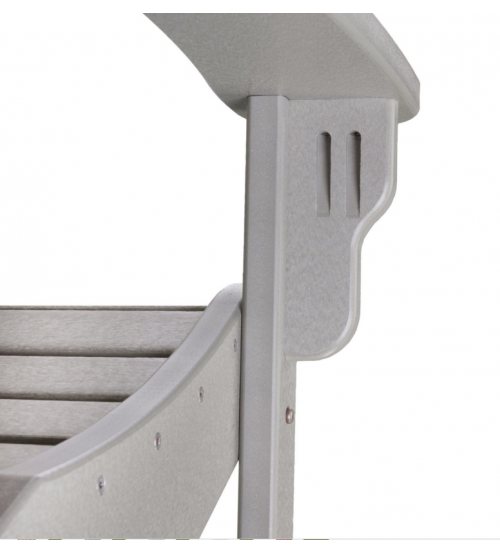 The Porch Rocker is made of durable poly lumber, and marine-grade, 316 stainless steel hardware. Details, details, details, the screws and bolt heads are gracefully obscured from the front view of this chair. The heads of the bolts have been primed and painted to match the color of the poly lumber. Its joints and attachment points are painstakingly engineered to remove all visible hardware from the front of the seat, back, and arms. 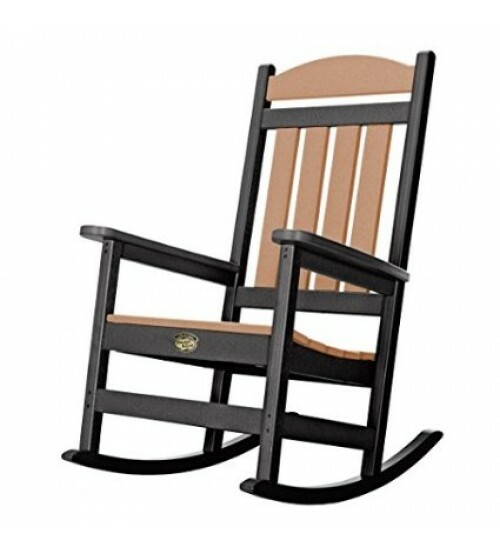 Comfort and beauty are all wrapped up in this fine Porch rocker. You will be the envy of the neighborhood.